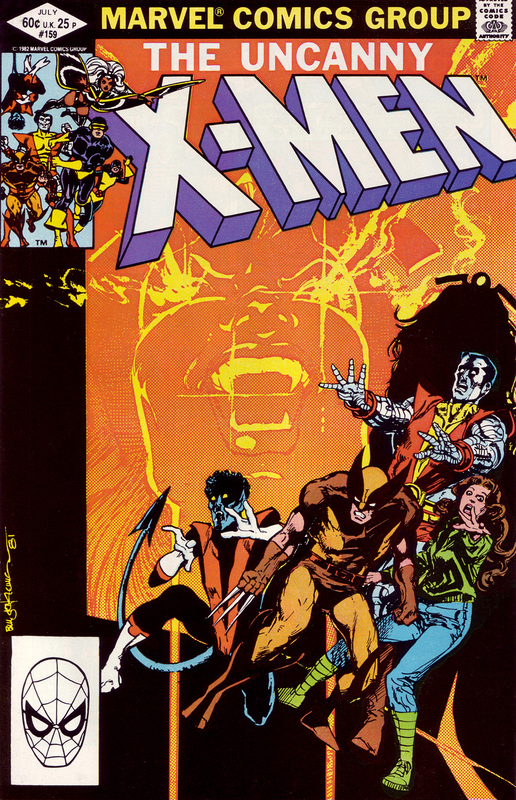 Everyone here is recoiling in fear…they look scared to death -except for Wolverine. He is a little traumatized here too but not enough to sheath the claws and run. Get back here tomorrow night for more scans in the count-down of my Top 100 favorite comic book covers. As I recall, that’s the Vampire Storm issue. Hence the face in the background. It’s an OK cover.